The flagship HTC U Ultra phone represents a bold new direction for the company—one that doesn't include a 3.5mm headphone jack. After making a major splash with the industrial-styled One back in 2013, HTC has been struggling to keep up with its competitors. Despite a series of well-reviewed follow-ups, the company hasn’t made much traction with its flagship handsets, and it was beginning to look like HTC would fade into the sunset like so many other Android manufacturers. Enter the HTC U Ultra. The phone represents a completely new direction for the company, complete with a new tagline: It’s all about U. With a 5.7-inch Quad HD screen, Snapdragon 821 processor, 4GB of RAM, 64GB of storage, and 3,000 mAh battery, the phone is clearly a flagship release. Though the battery seems a tad small for such a brilliant screen, it does includes a fast charger in the box. The HTC U Ultra also sports a tiny second screen above the main display like the LG V20 to house contacts, apps, and notifications, and it adds a few unique touches that could make it one of the early phones to beat in 2017. Why this matters: HTC was once one of the darlings of the Android world, a pioneer in both big-screen designs and awesome features. Over the years it has been overtaken by Samsung and now Google's Pixel, but the U Ultra looks to put HTC back in the conversation for best flagship device—if you can handle giving up the headphone jack. But it’s more than a mere follow-up to the HTC 10. 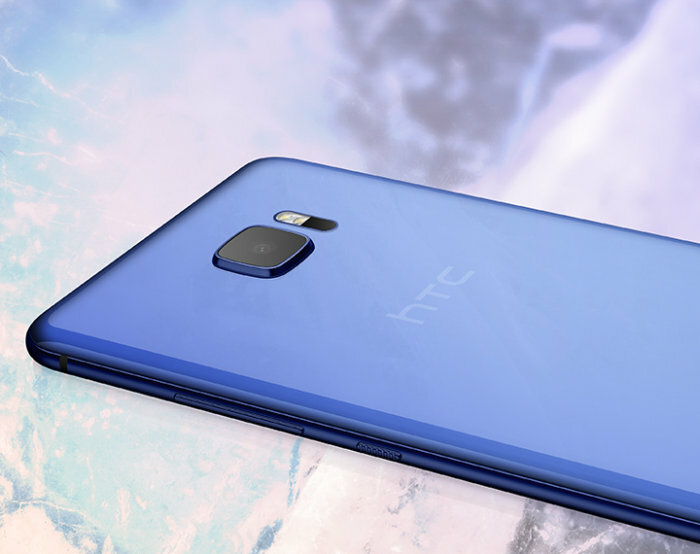 The HTC U Ultra is a complete overhaul of last year’s model, with a sleek, glossy case (available in black, while, blue and, as HTC calls it, Cosmetic Pink), that blends seamlessly into the curved front display. Around the back you won’t find an antenna line anywhere in sight, but while the minimal mirrored glass back looks incredible in product shots, it will likely be a fingerprint magnet. The glass back of the HTC U Ultra will likely never look this good once you start using it. HTC has surprisingly stayed out of the dual camera race, opting instead to use the same 12MP HTC UltraPixel sensor that’s in the HTC 10. 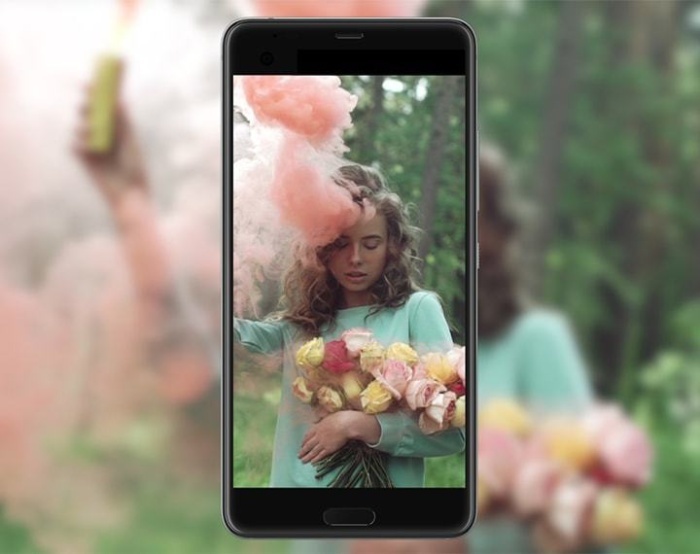 Around the front HTC has actually added a larger 16MP camera with UltraPixel mode for “brilliant selfies anyway you like.” But while the HTC Sense interface is built on Nougat, Google Assistant isn’t the star of the show. HTC is bringing along its own digital assistant with the U Ultra, called HTC Sense Companion, which the company says “is always learning from you.” For example, it might suggest you dress warmly on a cold day or remind you to charge your phone when you’re heading out for a long trip (insert small battery joke here). It sounds like a good upgrade to the user-prompted assistants we’re used to, but it remains to be seen how useful (and creepy) it will be in practice. However, while HTC says the phone was built for “you,” that doesn’t necessarily extend to the listening experience. While the phone continues HTC’s focus on audio with BoomSound HiFi edition, the handset doesn’t include a 3.5mm audio jack. The company claims that its bundled USB-C “individualized, custom-made sense-adapted” USonic earphones will provide immersive audio, but most people will simply grumble about not being able to use their existing headphones without an adapter. The HTC U Ultra’s main camera is the same as last year’s HTC 10, but the front sensor has been upgraded to 16MP. 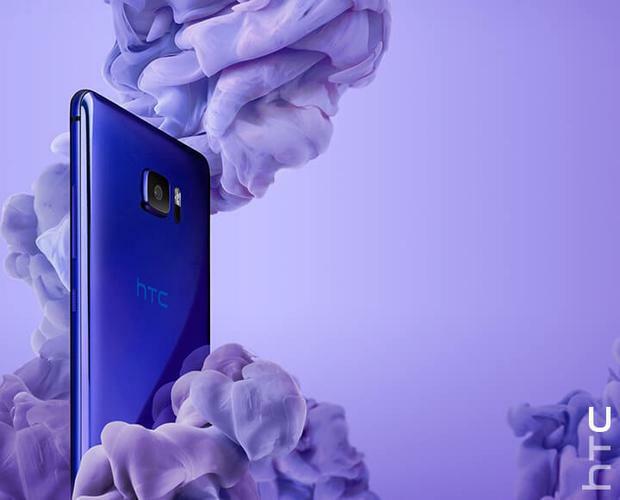 Along with the U Ultra, HTC also released the HTC U Play, making it clear that the U brand is part of a wholesale transformation. Essdentially a little brother to the Ultra, the Play includes a 5.2-inch screen 1080p LCD screen, underpowered MediaTek Helio P10 chip, 16MP UltrPixel-less rear camera, 2,500 mAh battery. It also doesn’t include a headphone jack. While the unlocked HTC U Ultra is available for preorder through the HTC’s site for a hefty $749, it won’t be shipping to the Unites States until mid-March, at which point Samsung, LG and others will likely have unveiled their own 2017 flagships. The company has yet to release pricing or release information for the smaller HTC U Play except to say it will begin shipping in early 2017.